ITD Systems & Security provides reliable VoIP Phone Systems for businesses across Carlisle, Mechanicsburg, Camp Hill, Hershey, York, and Lancaster. 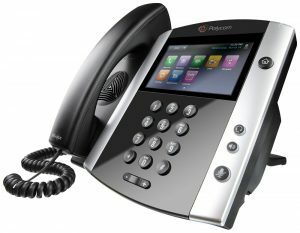 VoIP phone systems are the future of the business phone system and can save money over outdated analog phone lines. VoIP Phone System Installers at ITD Systems & Security offers an integrated phone system that is easy to manage and can streamline your business with many time-saving features such as advanced call routing, paging solutions, auto attendant, music on hold, voicemail to email, unlimited calling anywhere, call conferencing and many more. IP Phones are simple to install using your existing network cabling. Hosted VoIP software makes it easy and inexpensive to add new users. There is no VoIP hardware or softeare to install, only the IP phones. It’s not always easy to predict how many phones will be needed over the next year. VoIP makes costs more predictable over traditional systems. Adding, moving or eliminating phones can be done within minutes. Hosted VoIP phone systems are also terrific for businesses that have field workers or workers who travel a lot. Calls can be diverted to anywhere in the world due to cloud-hosted VoIP phone system features. All of the traditional call system features you expect are available in hosted VoIP systems, including call hold, call transfer, call hunt, conference calling, find me / follow me and auto-attendant phone menus. You won’t give up any of your favorite features by choosing hosted VoIP. Voice mail’s can be forwarded to email for workers who travel.